Double up the halo for double sparkle! 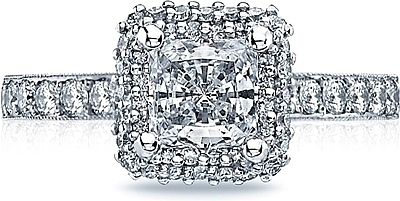 A princess center glows with a double diamond halo and round diamonds halfway along the band. Clean crescent engraving and miligrain details add interest to the profile of this engagement ring.